Originally titled as the Angie Cammarota Memorial Golf Tournament, Maryland Turfgrass Council's Golf Tournament for Turfgrass Research is an annual event held at Queenstown Harbor Golf Course, Queenstown,Maryland. Come join your fellow turfgrass professionals in a round of golf while showing your ongoing support for the University of Maryland Turfgrass Research Program. If you would like more information on how our Hole Sponsorships work and to choose the best option for you, please take a look at our 2017 Sponsorships Package. If you would prefer to Email, Fax, or Mail in your registration for the golf tournament, please fill out the 2017 Golf Registration Form. If you have any questions or would like to help with our event in another way please do not hesitate to contact us. The morning of Wednesday September 28th the rain falling and lightning flying in the sky above had me pacing around Queenstown Harbor Golf Course’s Pavilion in a panic that all the work over the last few months were going to washout this year’s Maryland Turfgrass Council annual golf tournament. 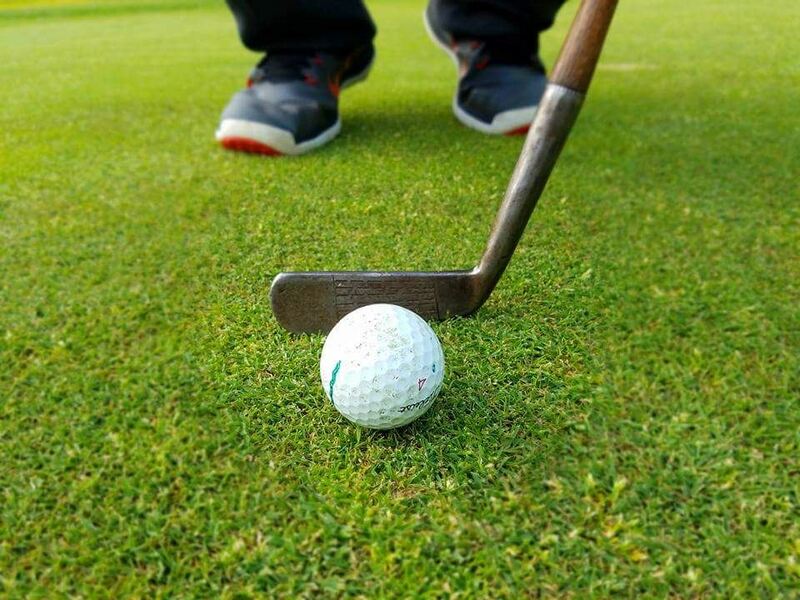 Initially named The Angie Cammarota Golf Tournament for Turfgrass Research, the golf tournament raises funds to help support turfgrass research projects at the University of Maryland. In light of the rain, the golf tournament went on very nicely. While enjoying donuts, bagels, and coffee Dr. Joseph Roberts talked with attendees about updates in his research at the University as well as problem he has seen throughout the year. After the rain lightened up, a modified round of golf was played in a best ball format with prizes going for Closet to The Pin, Long Drive, and First and Second Place teams. We ended with an outstanding Crab Feast and dinner while we gave out awards to winners, a 50/50 drawing, and raffled off a few prizes. Congratulations given out to Ben Ellis, Zac Ellis, Lee Ellis, and Mike Butler as the winning team. Dave and Nick Cammarota awarded the team with the inaugural Cammarota (graciously donated by Genesis Turfgrass) in honor of former MTC member, Past MTC President, and father, Angie Cammarota. Big thanks to all of our sponsors, donators, and participants. The University of Maryland Golf Tournament for Turfgrass Research Hosted by the Maryland Turfgrass Council raised nearly $3,000! A Thank You goes out to the maintenance department at Queenstown Harbor Golf Course, and everyone who helped to make this day educational, fun, and memorable. We look forward to seeing everyone at our next golf tournament scheduled for September 27th 2017. 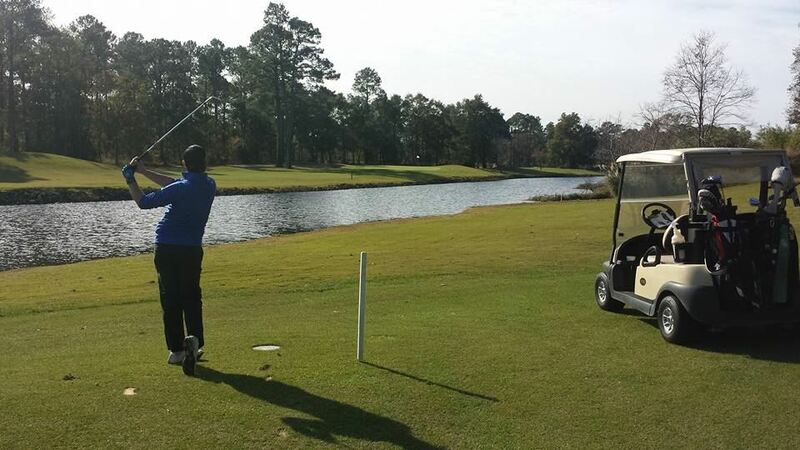 The 2015 event was held at the beautiful Queenstown Harbor Golf Course in Queenstown on Maryland’s Eastern Shore. The entire staff at the Queenstown Harbor made the golfers feel welcome. After the competitive for some and relaxing for others round of golf, attendees enjoyed a delicious late season crab feast with all the fixings. Prizes were awarded to the golfers with the lowest scores and acknowledgements were given to the event sponsors. Aqua Aid, Cammarota Family, Central Sod Farms, Crop Protection Services, Eastern Shore Association of Golf Course Superintendents, FALCAN, Genesis Turf, Landmark Seed, McDonald and Sons, Mid Atlantic Association of Golf Course Superintendents, Maryland Turfgrass Association, Newsom Seed and Syngenta. Next year’s MTC golf outing will be held at the Queenstown Harbor Golf Course on Wednesday Sept 28, 2016. Please keep the date open and visit our website for the latest event news. Contact our Executive Director for event sponsorship opportunities. In the late 1960s members of the Mid Atlantic Association of Golf Course Superintendents(MAAGCS) and the Maryland Turfgrass Association of sod farmers (MTA) got together to talk about the creation of a coalition of turfgrass professional to bring about political clout for the Maryland turfgrass industry. In 1972, Angelo Cammarota, along with 25 of his colleagues, formed the Maryland Turfgrass Council (MTC). For more than 43 years, the MTC has championed our industry through its support of turfgrass research and education at the University of Maryland. Angie was an individual who truly held that his vocation was also his avocation. He was a mentor and friend to many younger turfgrass professionals. He was known by many in the turf industry from Massachusetts to South Carolina and was a frequent speaker at regional turf conferences. He was a staunch and vocal proponent for all measures promoting the position of Golf Course Superintendent. If we remember the wisdom our founders, our future will remain bright no matter the challenges we face.